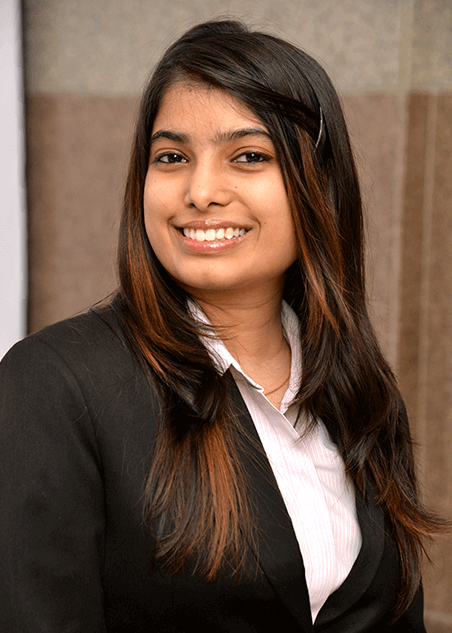 Ruchita’s passion to become a corporate trainer brought her all the way from Indore to Mumbai. She had a stint as a facilitator prior to joining our team and believes that it is through training that she can touch other people’s lives and bring about a positive change in them. She is a perfectionist and an innovator who always tries to bring in an element of creativity into her work. Ruchita is an MBA in HR from Mumbai University and also holds a Degree in Electrical & Electronics Engineering from Indore. She is the most vivacious girl in office and her enthusiasm is pretty contagious.